Summary: New Better Homes and Gardens kitchen-tested recipes make losing weight a delicious experience. Vibrant full-color photography of every recipe entices dieters to prepare each dish. The latest advice and tips help dieters lose weight, eat well, and feel great. 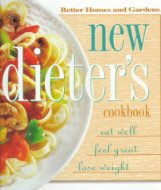 One of my all-time favorite cookbooks is the BETTER HOMES AND GARDENS NEW DIETER'S COOKBOOK: EAT WELL, FEEL GREAT, LOSE WEIGHT. It's just one of those go-to cookbooks, if you know what I mean. 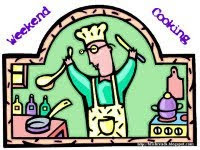 The recipes are extremely simple and very family-friendly. I've had my original copy (the one with the black cover) for as long as I can remember. I think I got it right after we got married almost 18 years ago! And then a few years later, I discovered that there was another edition (the one with the white cover) and I knew I had to have it too because while some of the recipes were the same, there were some new ones. Thank goodness I made the purchase because my family's all-time favorite dinner is in this version. The NEW DIETER'S COOKBOOK begins with an introduction that provides lots of fantastic information about eating healthier and a menu plan for a 14 day "diet." The next sections are really the meat of the cookbook because they include all of the recipes. The first chapter of recipe section is kind of nice because it offers calorie-trimmed classics. The rest of the sections are as follows: Appetizers, Snacks, & Beverages, Breakfasts & Brunches, Lunches, Main-Dish Salads, Beef & Veal, Pork & Ham, Lamb, Poultry, Fish, Meatless Main Dishes, Side Dishes, Baking, and Desserts. There is also a section in the back of the cookbook entitled Calorie Tally. This cookbook has loads of good recipes, and I should know because I've made quite a few of them. In fact, I've been making my low-fat banana bread recipe for over 15 years. I can pretty much guarantee that you will find at last a few recipes that appeal to you and your family because this cookbook is huge! It has over 400 recipes in it! I can't rave enough about this cookbook. Not only are the recipes simple and yummy (and flavorful), but they also include Nutritional Facts per Serving. (I did mention that all of the recipes are HEALTHY, right?) I have successfully been able to use the recipes in this cookbook each and every time I have done Weight Watchers because it's so easy to convert the servings to WW points. My family's favorite meal is called Chicken and Penne with Basil Sauce, but we usually end up calling it the yummy chicken, pepper and penne dish. I love this recipe because it's easy but also because it is so healthy and delicious. I find that I make this recipe quite often during the summer months when we have a plentiful supply of fresh basil from our garden. 1. Stir together chicken broth, cornstarch, and black pepper. Set aside. 2. Cook pasta according to package directions, omitting any oil and salt. Drain. Cover; keep warm. 3. Meanwhile, spray an unheated large skillet with nonstick coating. Preheat over medium heat. Add sweet peppers and garlic. Stir-fry for 2 to 4 minutes or until sweet peppers are crisp-tender. Remove from skillet. Add the oil to skillet; increase heat to medium-high. Add chicken; stir-fry for 3 to 4 minutes or until chicken is no longer pink. Stir broth mixture; add to skillet. Cook and stir until thickened and bubbly. Return sweet peppers to skillet; add the 1/4 cup basil shreds. Cook and stir for 2 minutes more. Toss the hot pasta. Sprinkle with Parmesan cheese. If desired, garnish with additional basil. Makes 4 servings. Doesn't it look yummy and so fresh and healthy? Here's a little side note: As I was preparing this review, I discovered that there is another version of this cookbook available. Ugh...do I dare buy another copy? The chicken and penne looks so good! The chicken and penne looks great, and I even have fresh basil actually growing in my garden this year, so I'm excited to try that recipe! That looks delicious and pretty easy to prepare. I'm going to print it out. I think you need the new cookbook!! I think you need the new cookbook! That chicken recipe looks fabulous and basil is plentiful at the moment. I may have to make it next week. BookingMama, this recipe turned out great. BermudaOnion and I like it very much. I also have the original black one plus the one in the white binder. I haven't looked at them in a while. Thanks for reminding me about them!